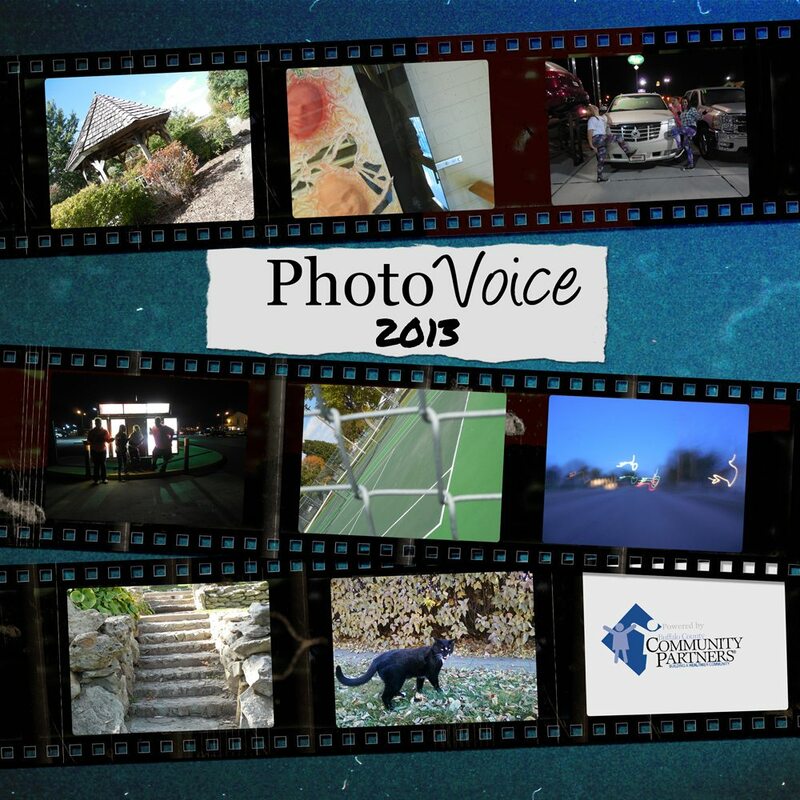 The 2013 PhotoVoice book cover. At the final PhotoVoice class on October 21, participants selected four of their best photographs and wrote captions to describe the message behind them. These photos will be printed, framed, and displayed at the PhotoVoice reception on November 19, from 5:30 p.m. to 8:30 p.m., at the University of Nebraska at Kearney’s Alumni House. Attendees will have a chance to speak with the youth who participated in PhotoVoice to get a better understanding of what their photos mean to them and learn about the techniques they used to create them. A photo book containing the youths’ photos will be available to purchase at the event. Funds raised from the sale of the book will be used to sustain the program. PhotoVoice, powered by Buffalo County Community Partners with the support of Buffalo County Juvenile Services and Region 3 Behavioral Health Services, helps youth develop a means of constructive self-expression through photography. Youth met for seven instructional sessions this fall, during which they were given a camera and received instruction on how to use it, learned about the expressive power of photography, and exchanged ideas about photographic subject matter pertaining to issues directly affecting them. Guest speakers led the group in discussions on issues of self-identity, family life, school, and community strengths and challenges. Local elected officials participated to help the youth make connections and find their voice among policy makers who affect social change.